An Eternal Struggle to Survive…………..
Posted by Waking Up With A Broken Heart in Christmas, Infinite Pain, Love & Grief. All I want for Christmas…..and every other holiday and birthday…..is my baby back. That’s it, nothing else. Just him. Just my Sal. Just my precious baby. So he can wrap his arms around me and tell me he loves me. So I can kiss him good night. So I can hear him say “mama hug me”. So we can stay up late and watch silly movies. So we can have some more midnight snacks. So we can play video games and laugh at how terrible I am. So we can have late night Target runs for a new toy or 2 or 3. So we can have another war with his toys. So I can make him pińa coladas while he plays in the pool with his sister & brothers. So we can go to the flea market and scour the entire place looking for blue toys. So we can go see inappropriate movies and I can cover his eyes and have him yell at me. So we can sing in the car. So we can dance in the bedroom. So we can jump on the bed. So we can eat blue cotton candy and blue snow cones. So we can drive around looking for new toy stores. So we can argue over whether Ruby is Max’s mother or sister. So we can go out for pizza. So we can watch Spongebob. 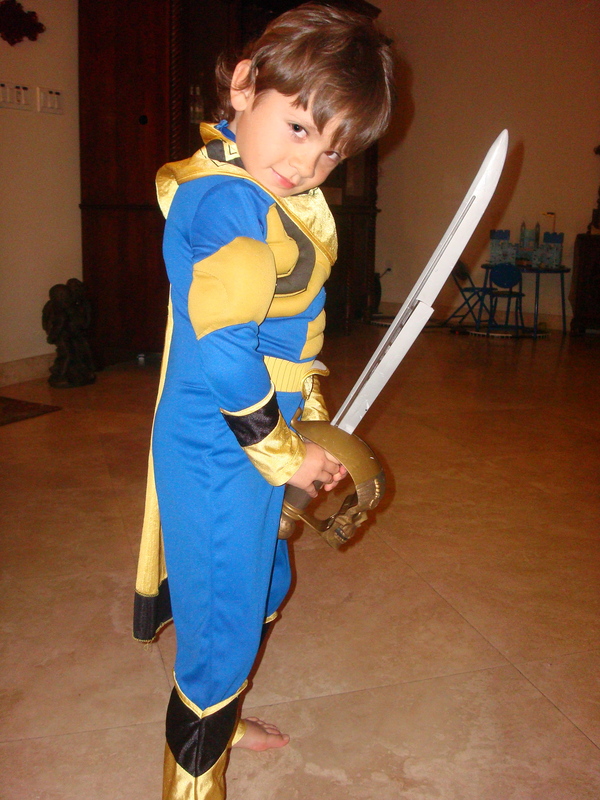 So he can dress up like the Blueranger. 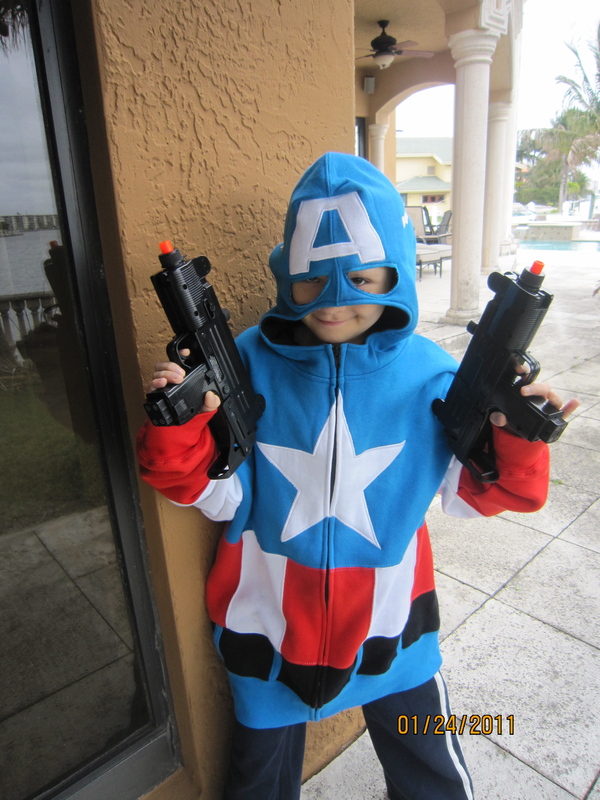 So he can be Captain America again. So we can have another birthday cake. So we can find another little toy to collect. So we can go to Disney. So we can ride the waverunners. So we can play Club Penguin and feed his Puffles. So I can cook him his favorite steak. So I can read him 5 books before bed. So he can stick his head out of the sunroof when we pick up Sergio from school. So he can win at every game we play. So he can ride his car around the house. So we can visit Papi and play with Johnny. So we can buy some more Red Bull. So he can make me read more books about bugs just to see me cringe. So we can watch Jaws again. So I can kiss his sweet soft head. So we can count the freckles on his nose again to see if there’s any new ones. So we can go for a walk. So we can shop for blue toys online. So we can cook 15 different things for dinner. So we can go to the park. So we can go to New York and visit all his favorite places. So we can fall asleep on the couch. So we can eat ice cream for breakfast. So we can eat pizza for lunch and dinner. So he can tell me again how he was going to marry me when he grew up. So we can fight over who loves who the most again. So I can kiss his cute little nose. So he can give me 4 inches of bed space again. So I can make him another bubble bath. So we can order room service. So we can barbecue his favorite food. So he can eat chocolate cigars. So he can make me watch horror movies and not let me close my eyes. So he can tell me how beautiful I am and I can tell him how handsome he is. So I can hug him and never let go……………….. So we can decorate his little blue Christmas tree……. So I can wake up on Christmas day, kiss him and see the excitement, happiness and joy in his eyes………..
Posted by Waking Up With A Broken Heart in Infinite Pain, Love & Grief, Love & Pain, PTSD after Childhood Cancer. Hurricane Irma was devastating on so many levels. Most of the state was evacuated. Some people evacuated 2 to 3 times running from the storm. Here in Miami, I happen to live in an evacuation zone right on the water. We were told the storm surge could reach 10 to 20 feet. The decision to leave was a very difficult one for me. The thought of losing my baby’s things was something that I just couldn’t grasp. You see, his belongings, his toys, his blankies, his clothes, everything he owned is in that house. It’s all I have left of him. I will never EVER have anything new that he loved, that he had touched. The turmoil that I experienced was just incomprehensible. I live in pain every day of my life, but what happened in the days leading up to Hurricane Irma, well, it’s so hard to describe. The gut wrenching feeling, the exasperation and anguish, the physical pain caused by mental exhaustion is difficult to describe. We secured our house as much as possible. I wrapped as much as I could in plastic and stacked what I was able to up high in case the house got flooded due to the storm surge. There was no way I could wrap everything, It would be impossible to raise everything up. This new house we moved to is only one story and we weren’t sure how it would hold up in a Category 5 hurricane. The thought of the roof being ripped off of our house and my baby’s things being blown away, well it’s a feeling that only another mother who has lost a child could possibly understand. Yes, material things are replaceable as they say, for most, but that is not true for me. Sal’s things are NOT replaceable. His favorite street sharks, his toys, his clothes such as his favorite jeans and blue shark shirts, all his dozens and dozens of blankies that he cherished. His Power Rangers, his Captain America toys, his favorite videos, all his different collectibles as well as all his handheld games. Those are not replaceable. The unseen fingerprints on everything he touched, the clothes he wore, his blankets that he always carried that made him feel cozy and warm. Those things could NEVER be replaced. They are the only things I will ever have. I couldn’t bring it all with me. I did the best I could. As I apprehensively walked out the door with my loving family, tightly clutching my precious baby’s ashes (which is not normal and also another beyond devastatingly difficult thing to do) and leaving his cherished belongings behind, I asked him to please take care of his things because I couldn’t bear to lose any more of him. I realize no one truly understands. Even those especially close to me couldn’t and will probably never totally grasp the extent of my excruciating pain and anguish. The 48 hours I was away from home with the wind blowing and howling as if it were to rip apart the massive and strong building where we were staying, felt like weeks. All I wanted was to take my baby’s ashes securely home and check on his things. I knew my kids were safe with me and anything that happened to the house could be fixed. I knew the power would be out but would eventually be restored. I knew trees could be replanted, fences could be repaired. But my treasures could NEVER be replaced. Finally, we were able to get home. I was born in Miami Beach and have lived thru many hurricanes, but driving thru the devastation and flooding in the neighborhoods this time truly was eerie. No power anywhere, giant trees uprooted blocking city streets, power lines down, sunken boats, and debris everywhere. Finally, in what seemed like hours although it was only minutes, we arrived home. Posted by Waking Up With A Broken Heart in Family Fun Nights, Infinite Pain, Love & Grief, Uncategorized. I thought I would never walk into a hospital again……….let alone an oncology floor. I thought I would never be able to bear seeing another child suffering cancer like my precious baby did. 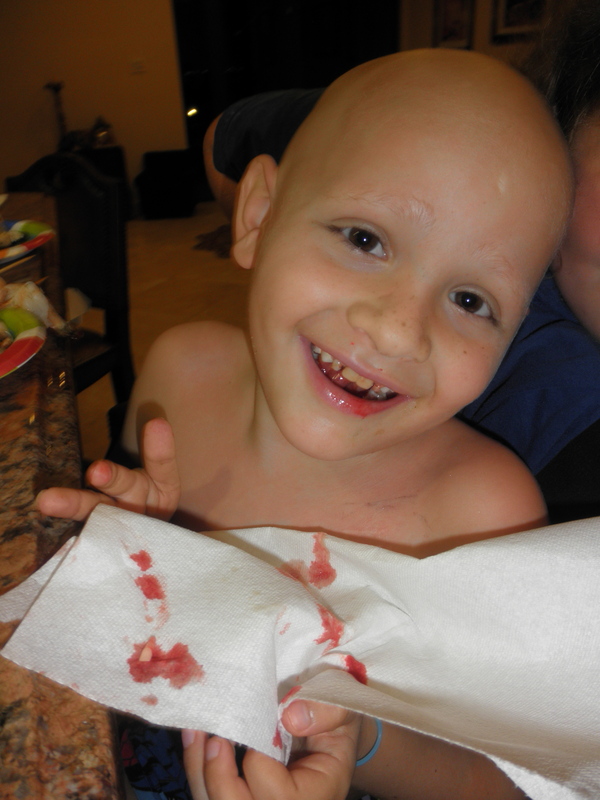 I really never thought I could ever again touch or kiss the soft bald head of a child with cancer. I absolutely never thought I could have a party with a room full of kids battling childhood cancer. Since Sal died I have dedicated my life to raising awareness & fundraising for Childhood Cancer Research. It is what I do every waking hour. But, one year ago, while talking to Sal’s Dr @ Miami Childrens, we came up with the idea of having a weekly Family Fun Night for the inpatient kids. 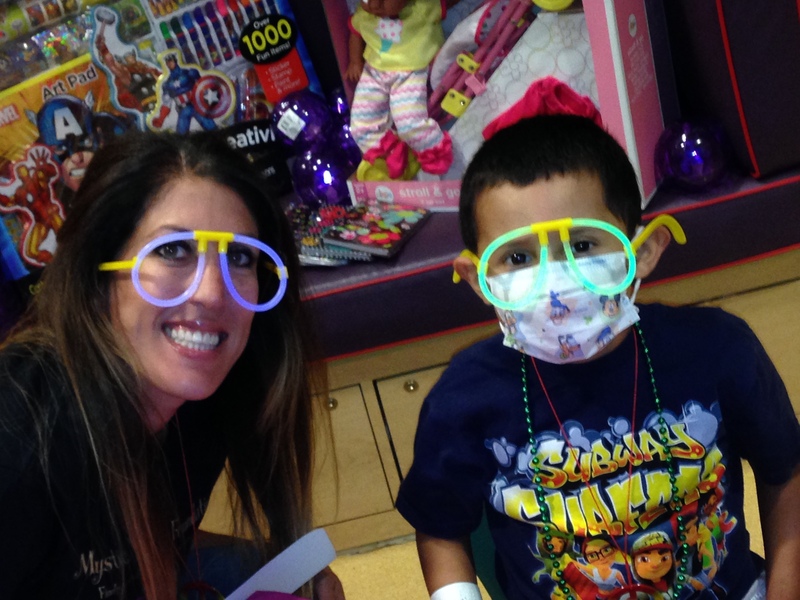 (Some of these kids are inpatient for weeks or months at a time) Sal had spent a lot of time at so many different hospitals and I knew in my heart he would really want me to do this, even though it was going to be immensely difficult for me. 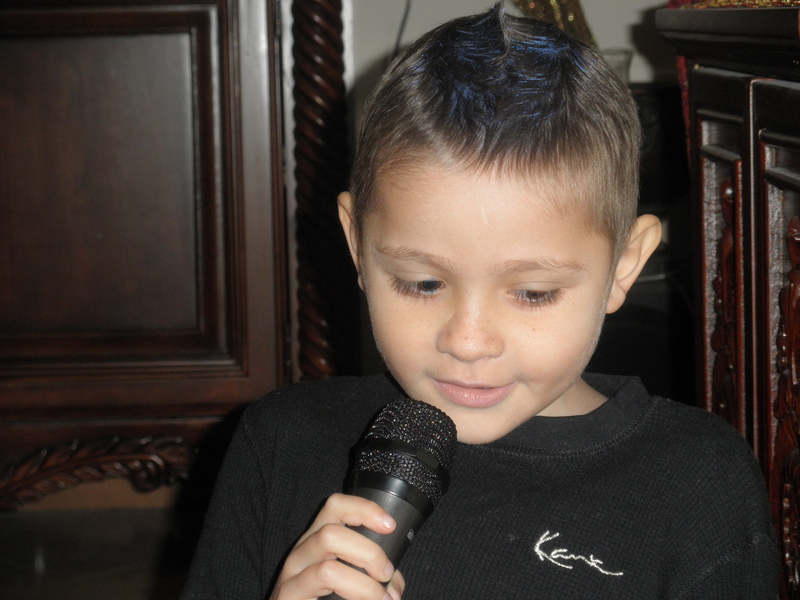 Sal loved parties, he hated being bored, loved toys and he loved to sing & dance. 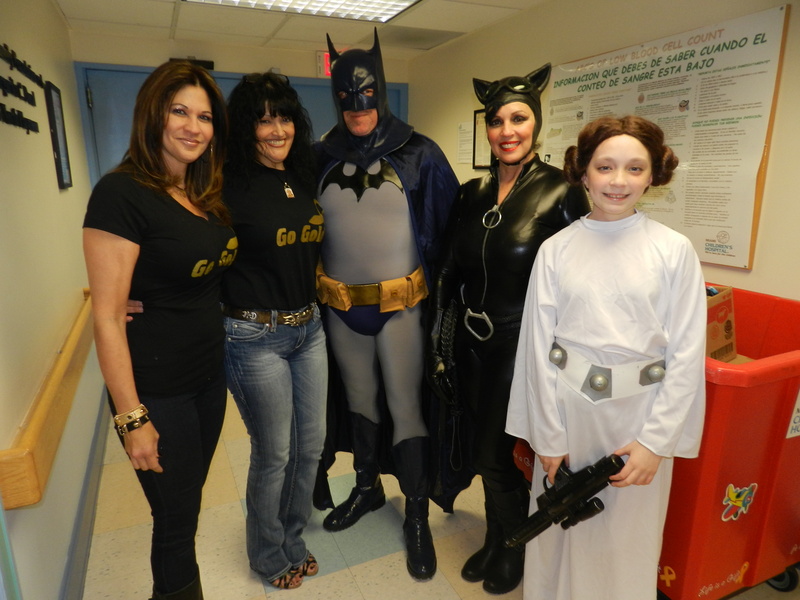 So I decided to incorporate all these things into one night…….which is now our Mystic Force Family Fun Night on 3North at Miami Childrens Hospital. For a few hours one night a month we help these kids forget where they are and just be kids having fun. We fill the playroom with tons of toys, circling colored lights and play party music. We do fun crafts, we paint, we color, make bracelets and we eat delicious food. Sometimes we have Superheroes join us, sometimes we have local celebrities. All of this is possible because of the generosity of so many individuals & companies who donate their time, who donate awesome toys and who donate the dinner each month. HOW DO I KNOW I WAS WRONG?? 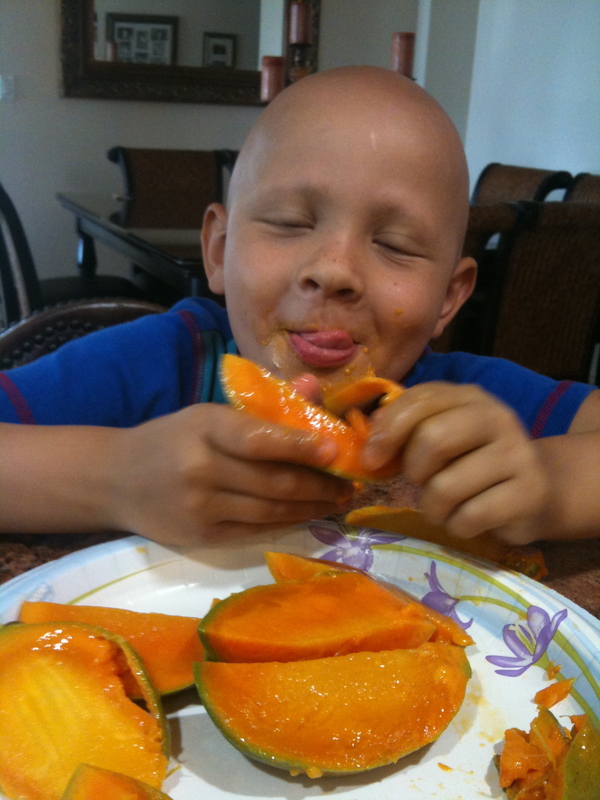 This past week a very special little boy from Miami Childrens passed away. 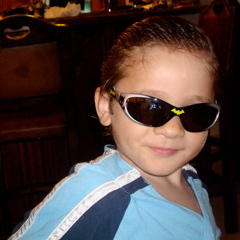 Alejandro was a beautiful, spunky, witty, Lego loving little boy. 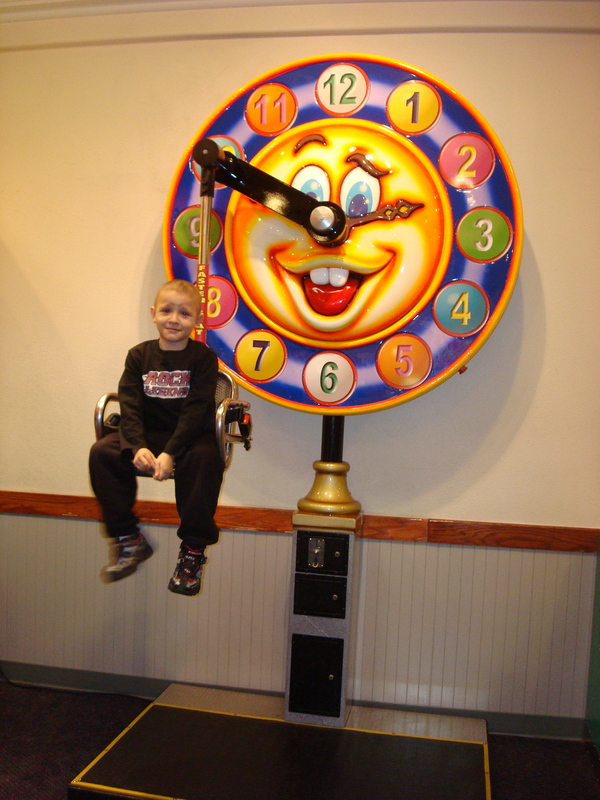 He was at most of our Family Fun Nights through out the year, which sadly, meant he was inpatient…..a lot. I know I was wrong, because, I know that I, along with my entire team of amazing volunteers brought this boy happiness when we were there. (as you can see from the video below) He sang & danced & picked out as many toys as he wanted, did crafts, played, ate delicious (non-hospital) food and of course we always brought him Legos. My dear friend Mara brought him super special Legos which, sadly, he never got to enjoy as he was already in I.C.U. He will be missed by each and every one of us. THAT’S HOW I KNOW I WAS WRONG……. Now, as I pack up for tomorrow’s Nike Family Fun Night (because Nike donated the most awesome balls, bags & backpacks) I know I can do this, I know it’s what I have to do, what I must do, WHAT I WANT & NEED TO DO…………….. I must bring smiles & happiness, even if it’s just for a little while to these kids who suffer the unimaginable like my baby did. Posted by Waking Up With A Broken Heart in Infinite Pain, Love & Grief, Uncategorized. This morning many will all wake up and think of and be thankful for the moms that gave us life. For the beautiful children we have raised. Waiting impatiently for the day to end. We will smile and pretend that we are okay. Cry when we need to. We will remember every single second of every single Mother’s Day we have spent with our precious children. Then will remember how many years, months, days, minutes……seconds…..it has been since we felt our baby’s touch. How much we yearn to hear our baby’s voice. How much it hurts to know they will not be here today. Send prayers to your Mom if she is no longer here and be thankful for the time you had together…..
Bask in the infinite love your children bring you. Feel glory in every trying time as you try to figure out what comes next, what is right and what is wrong. Rejoice in knowing that your child is happy & healthy……….. Proclaim your love for them. Relax as you watch them play, etching every scene into your memory……….. Thank your God for your good blessings…..
Then remember those, like me, who long for what you have……………………..
Posted by Waking Up With A Broken Heart in Love & Grief, Uncategorized. Sadness????? It is way beyond Sadness……. I can honestly say that is not my definition of grief. But then again, how would one begin to describe the sheer, gut wrenching, knife stabbing, all encompassing pain of losing a child? How do you put into words the never ending torment? The never ending torture? The never ending longing for someone that is still a part of you. How do you describe in words the physical pain? Because there are no words to describe the pain and suffering of a mother who has lost their child. Posted by Waking Up With A Broken Heart in Love & Grief. Someone asked me how I was today……. You want to know how am I??? Or do you want to hear the truth??? The truth is, life is difficult, life is complex, but, somehow, life goes on…………………. Because Childhood Cancer doesn’t care who you are…..
Because Childhood Cancer hurts everyone…..
Because Childhood Cancer is painful and makes kids suffer…..
Because Childhood Cancer keeps a constant river of tears flowing from my eyes…..
Because Childhood Cancer has ruined my life……. That’s why I can’t think of anything BUT Childhood Cancer………..
Posted by Waking Up With A Broken Heart in Dreams, Love & Grief. Is there really any difference? No…. Has the pain diminished at all? No…. Sal came to visit me. I knew he was coming from Heaven as he has visited me so many times before in my dreams. We were laughing and singing and shopping and dancing and eating…………… All his favorite things. It felt like it lasted for hours, yet not long enough. I knew he was just visiting so I tried hard not to wake up, somehow, I knew I was just dreaming, but it was okay because he was here with me……..the only way I can have him now. Is this my mind playing tricks on me? Or, is this really my baby visiting me every time he knows I am in total utter despair and feel like I can’t go on??? I wish I knew it was really him. He always worried about me, he always cared so much how I felt and did everything he could to keep me happy………. Can you imagine, thru all his pain and suffering he was always worried about me……..his mama…… always telling me he loved me more………. LOVE YOU FOREVER PAPO…….KEEP VISITING ME IN MY DREAMS………I NEED YOU STILL……. Posted by Waking Up With A Broken Heart in Dreams, Love & Grief, National Childhood Cancer Awareness Month. Last night I did not have a dream….. I was laying in bed, as usual in the middle of the night, playing Words With Friends……….. I looked up and my entire room was foggy…………….I mean completely filled with fog. My first thought was OMG, my house is on fire. But it did not smell like smoke. I got up and turned on all the lights and the “fog” was still there, My bedroom is completely surrounded by huge windows and there was no fog outside, I opened my bedroom door and went downstairs, no smoke or “fog” anywhere and no smell of fire. I came back upstairs, my room was still “foggy” I turned my lights back off and said “Sal, you are here aren’t you.? ?……………, no reply. But, I did not need one. I just knew at that moment that it was him. I didn’t think to take a picture, I didn’t think to wake up Steven………… I just knew………. I was enveloped in his presence. Many will think I am crazy, but those who believe will understand. The past few weeks have been so overpoweringly difficult for me. Each breath has been an overwhelming struggle. The times that I have smiled or laughed have later been overshadowed by guilt . How can I be evenly remotely happy for a split second without my baby here? It’s not right, it’s not fair………. How can I smile or laugh when he cannot? It’s excruciatingly difficult to live life like this. EVERY day was worthy of a celebration and we all knew that…………….. Such turmoil……………such pain, not just emotional but so very physical. How does one go on living you ask, after your child was viciously taken from you???? Honestly, I have yet to figure that out. You take it day by day, moment by moment, second by second. You sleep some days away, you spend time with friends who understand, you cry 90% of the day, you smile, you ache, you laugh, you smile again, you look for answers that you know you will never get. You do whatever you have to do to get through each day, praying the days will be short and the years will swiftly go by, all the while feeling guilty for any ounce of happiness you are actually able to feel. I have never believed in ”mediums”……but….…… A cousin told me not too long ago that Sal came to her and amongst other things, said to her the phrase “socks in the drawer” she didn’t know what that meant and I told her I have Sal’s socks and all his other belongings in my drawers and everywhere else he left them. All his stuff remains untouched, so it really didn’t mean much to me. A few days later I was looking for a frame to put one of his pictures. I opened one of my special “drawers”, and his favorite blue socks were on top (I didn’t remember them being there), right underneath was the frame I had been looking for. I almost, literally, fainted when I unwrapped the frame and it said “ Wish you were here” …………… You see, since the very day Sal died , every single night…………… I say (out loud because I’m not sure if he can read my mind) ………….”I love you Papo, I miss you, I Wish You Were Here” EVERY single night for the last 21 months, before I close my eyes, that’s what I say. Life is so very unfair………………. I don’t know when the time will come where I feel no guilt with a smile, where I feel no remorse for laughing. I know that my baby would want me to be happy, as he always was, but it is so very difficult to achieve any type of true contentment. 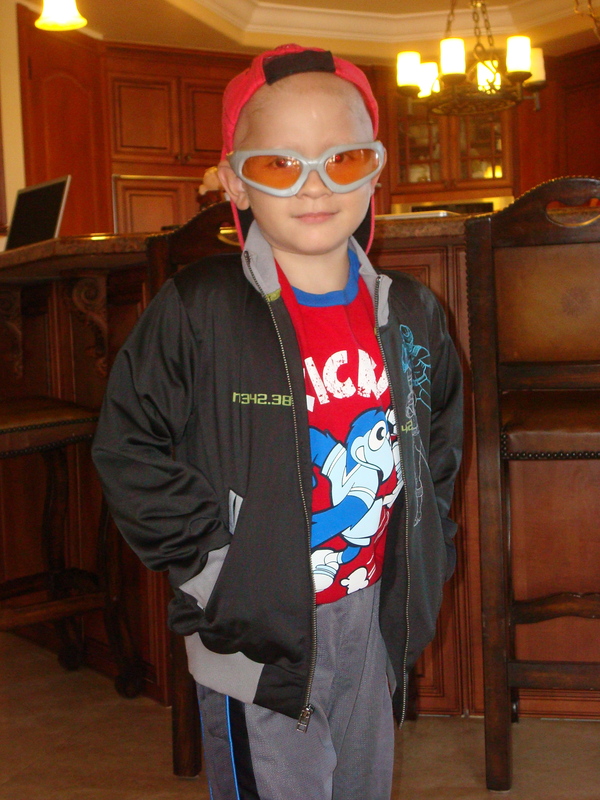 Posted by Waking Up With A Broken Heart in Love & Grief, National Childhood Cancer Awareness Month, Uncategorized. Some of these things were very difficult to achieve, such as getting out of bed EVERY single morning. It would be much easier to just sleep my life away because during sleep you feel no pain, physical or emotional. But, I know I have 4 kids that rely on me every day as well as thousands of others who count on me for Hope for their future. I can’t let any of them down. I also know Sal would not want me laying in bed crying for him. He never wanted to see me cry. Thank you for your email. We know this an important subject – in fact, childhood cancer was the front page story in our Special Health Reports on cancer, which was published on July 15, 2012:. http://www.miamiherald.com/2012/07/16/2897761/hope-on-the-horizon.html Given that we just published a large story on this subject, we would not be inclined to publish another story so soon. That said, we will look to see if there are any other developments that warrant another story. Thank you so much for responding to my email. I did see that article which was wonderful coverage for a disease that most people think of as taboo to speak of. And although you did a story in July, are these kids not worthy of another story during the most important month for childhood cancer? Next month will be breast cancer awareness month and you will see pink everywhere, you will read stories every day about breast cancer survivors, those still fighting and those that lost their battle to this disease. But because of so much awareness thru out the last years with the Susan G Komen foundation there is now over an 80% cure rate for breast cancer. That is wonderful and outstanding. Why can’t we do this for all the children? Are they not worthy of this type of awareness? 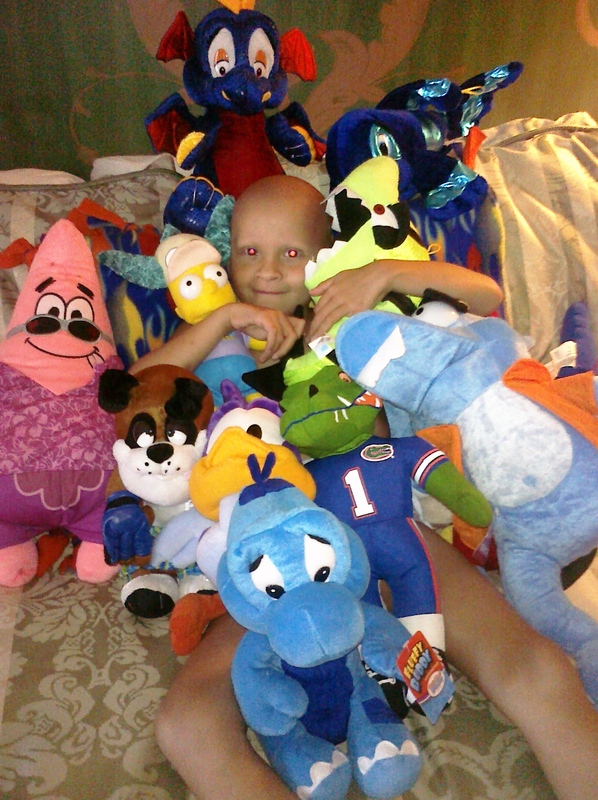 Have you personally ever been touched by a child with cancer? Has your child ever begged you for help from the pain and suffering they were feeling? Have you ever held the hand of your dying child? Why does Childhood Cancer Awareness Month not warrant another story??? Can you explain that to me please??? 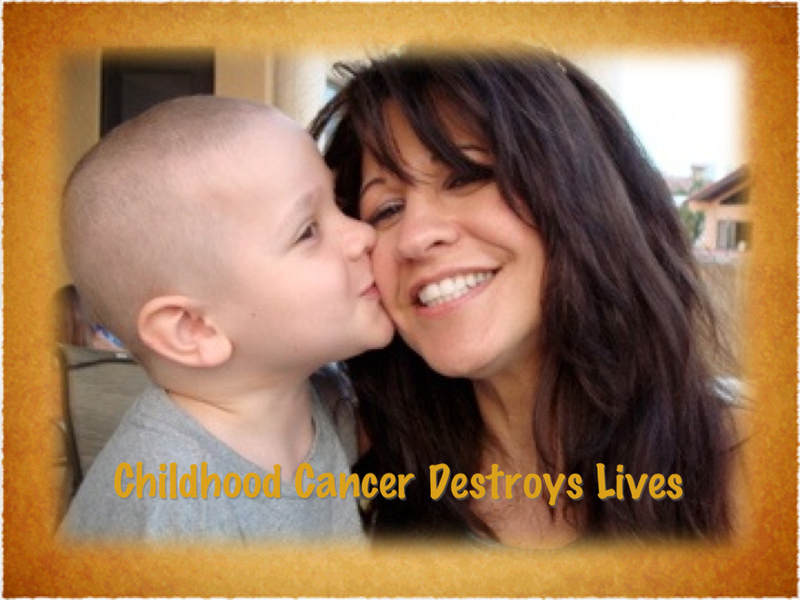 Do you know that before my baby was diagnosed I was told to pray for leukemia? Do you know why? Because there is an over 70% cure rate now for childhood leukemia. My child wasn’t so “lucky” he had a very aggressive, very common form of childhood cancer called Neuroblastoma for which there is no cure. Another cancer that has very dismal survival rates is Rhabdomyosarcoma. Do we just forget about these kids and only report on the ones that are doing well?? I don’t think so. “With that being said”,…….. I will continue on my mission and continue to search for people that care. I sincerely hope that the the following reply from Joan Chrissos is not the opinion of yourself and others at the Herald. Your paper is one of the largest in the country and to say that Childhood Cancer Awareness Month does not warrant a story is absolutely appalling and unforgivable. He instantly emailed me back telling me that one of his senior newsroom editors would contact me. That along with the barrage of phone calls & emails that Joan Chrissos received from all of my facebook friends accomplished my task of getting a story written……finally. As for the Channel 7 news report…..well I sent out over 200 emails to every single reporter whose email I could find including all the sports and weather newscasters. I received only 2 replies. The first was from Carmel Caffero (Carmel on the Case), the second from Patrick Frasier (Help Me Howard); both from WSVN 7. Both conveyed their sincere condolences regarding my baby and both said they would forward my email to their health producer, Angela Carraway. Angela, whom is a beautiful soul both inside and out contacted me immediately and set up an interview. It’s so sad that it takes so much to get people to listen and to want to help. But it does not keep me from trying…..I keep forging on. My motto is ‘the worst that can happen is that it doesn’t happen’. So I continue to tell my baby’s story, to ask for help, to pass out flyers & postcards, to ask for sponsorship, to ask for donations, to set up fundraisers, to do anything and everything in my power to raise awareness for these kids I so desperately want to save…..for all their parents I so desperately want to keep from feeling the pain I am feeling……for all the kids of the world…..even the healthy ones, because remember, my baby was perfectly healthy, until the day he was diagnosed. I know 2013 will bring many great things for our kids. I know 2013 will bring continued Hope for so many. I know I will continue my work, my eternal mission in life. friends, family members and volunteers. I love you all and will continue to fight for all ‘our’ kids. I so very desperately wanted to save my dear friend’s beautiful baby. 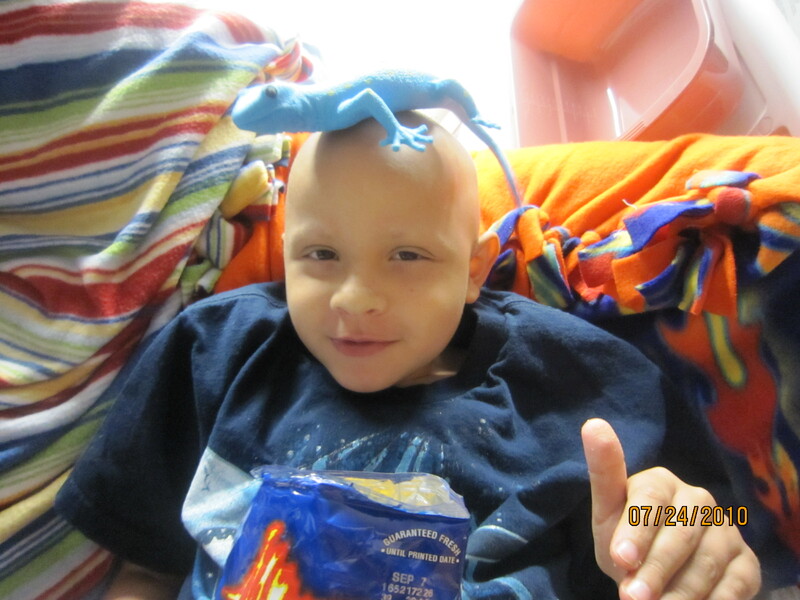 Derek & Sal were friends, treated at Miami Childrens Hospital, both with the same favorite oncologist, Dr. Guillermo DeAngulo. Derek never knew that Sal had passed away because we did not want him to be scared of having the same fate. We tried to save him, we did everything we could, both physically and spiritually but to our great sadness Derek Marcos passed away in October. His mom Enyd, my very dear friend is now on this mission with me. A spectacular Salvatore Vanni Day, Celebrating the Joys of Childhood. Thankful to all of our amazing Sponsors & Supporters! Thank you to the @citynmb, our Mayor @tonydefillipo and our Commissioners for honoring the memory of Salvatore and for your constant support of our littlest Heroes battling Childhood Cancer. Thank you @northmiamibeachpd for always being with us in everything we do. Thank you to the @northmiamipd for joining us today. Thank you to @jarofheartsorg for your constant support and everything that you do! A huge Thank You to @orvietosawards for donating the plaque for Salvatore's trees. And thank you to @hatsoff_events , DJ SoFlo, @thamidimascots Lily Rimblas, the very best Facepainter!, Miss Everglades, @amanda_shoopman , our awesome band, our vendors, and everyone who came out today to celebrate with us. Thank you County Commissioner #SallyHeyman for joining us . And Thank You to @dantelawfirm for your constant support! !